i rock paper and scissors: Hey Girl - Let's Go for the Gold! Hey Girl - Let's Go for the Gold! The newest Issue is up on the Paper Issues blog today! This month is called "Let's Go for the Gold", and some of the suggested topics are: travel, cruise, the Olympics, achievements and accomplishments. I went with the achievements part of the theme, and made this layout about my girl passing her 100 Sight Words Test in Kindergarten. She was so excited about receiving her sight word t-shirt, so I for sure had to document this day with a layout for her school scrapbook. 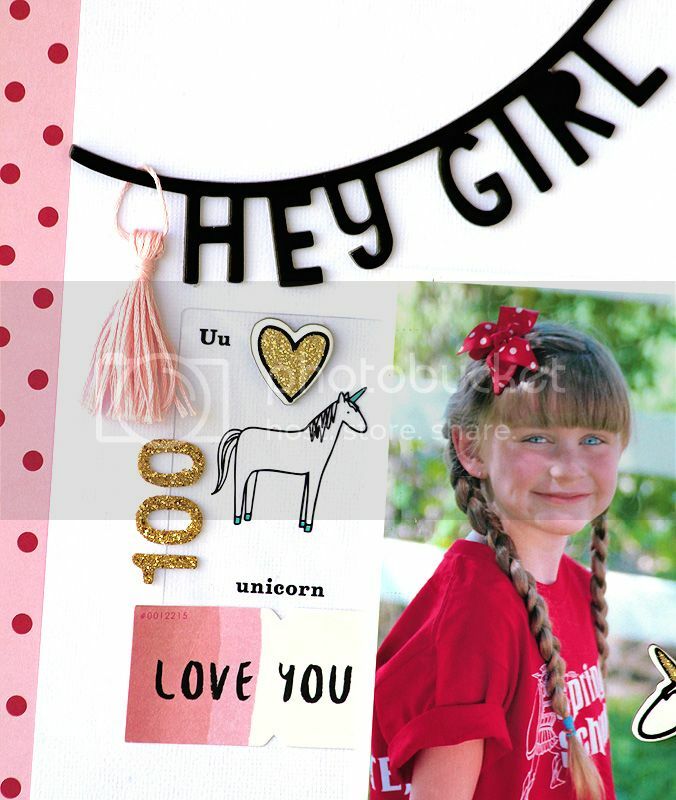 All the darling embellishments are from Crate Paper's new Cute Girl collection. Don't you just love that unicorn!!! Absolutely precious MaryAnn! She sure is growing up fast!!!! How proud you must be of her!!! Thank you so much, Dara Lynn!! 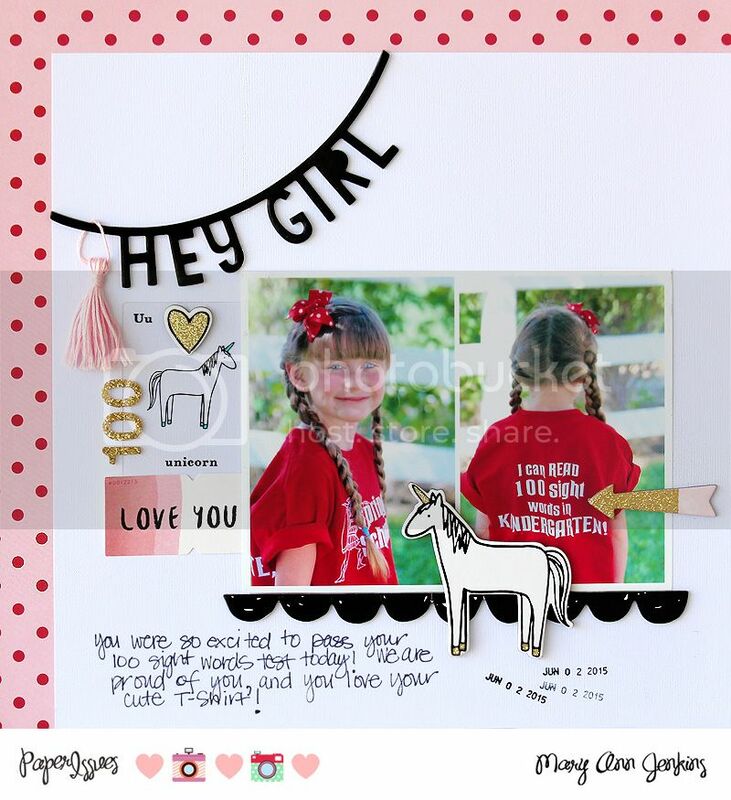 Love your LO and that fun DIY tassel! Super cute. This is so super cute! Her hair and the horses! I love it!